Many states operate unclaimed property divisions. These divisions are responsible for collecting property that has not been accessed or claimed over a lengthy period of time and distributing it to the owner. Unclaimed property may exist because the owner doesn't know it exists, forgot about the property, did not provide a forwarding address or misplaced the item. Unclaimed property can be cash or tangible property. Many times, tangible property consists of items redeemed from an abandoned safety deposit box, such as jewelry, coins, or stamp collections. Other, larger types of property are considered abandoned when not used, moved, or claimed within a shorter period of time. Do You Have an Unclaimed Tax Refund? Unclaimed property is typically divided into two categories: valued less than $100 and valued more than $100. Oftentimes, states will not report the exact dollar amount of unclaimed money until the owner has been appropriately identified. More than a few important websites exist specifically to help you find unclaimed property that is rightfully yours. The National Association of Unclaimed Property Administrators offers an online search option that allows users to search nationwide for unclaimed property by state. Each state's unclaimed property division is accessible through this search option. On this website, search in those states in which you have previously lived, family members live or lived, or in which you believe you left money behind to which you are entitled. MissingMoney.com also compiles all states' unclaimed property divisions into one location. This website allows you to search for unclaimed property to which you or someone you know may be entitled by providing your first name, last name, and the state in which you want to search. USA.gov also operates an unclaimed property website that allows users to search for property owed to them currently held by the government. 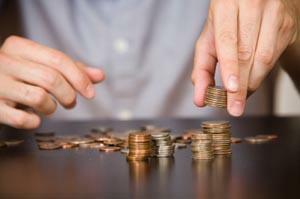 Users of this website can search for unclaimed funds by the type of fund. Available searches include funds left over from bank failures, pension funds, and insurance refunds. Often, these searches take you to another government agency's website to perform the search. District of Columbia Office of the Chief Financial Officer: The District's CFO directs users to MissingMoney.com, but also provides its contact information for users who believe that they have unclaimed property being held by the government but were unsuccessful in their online search. Maryland Comptroller: This state's website allows users to search by first and last name. Virginia Department of the Treasury: This website allows users to search for unclaimed property owned by themselves, a deceased individual, or a business. Kentucky State Treasury: Users of this state's website can search by owner's name for property. State of Oklahoma, State Treasurer's Office: This website allows users to search by first and last name or business name. Check with your state's Treasurer's office or use one of the national websites to search for your unclaimed property. Submitting a claim of ownership of unclaimed property usually requires paperwork proving identity and ownership of the property. Required documentation may include Social Security number and card, birth certificate, death certificate if claiming for a deceased individual, and proof of address. The process can take several months, but should not be accompanied by fees since it is under the control of the state.